How Do I Use the Ios “open In” Feature with Mangoapps? /Mobile - iOS & Android Apps /How Do I Use the Ios “open In” Feature with Mangoapps? 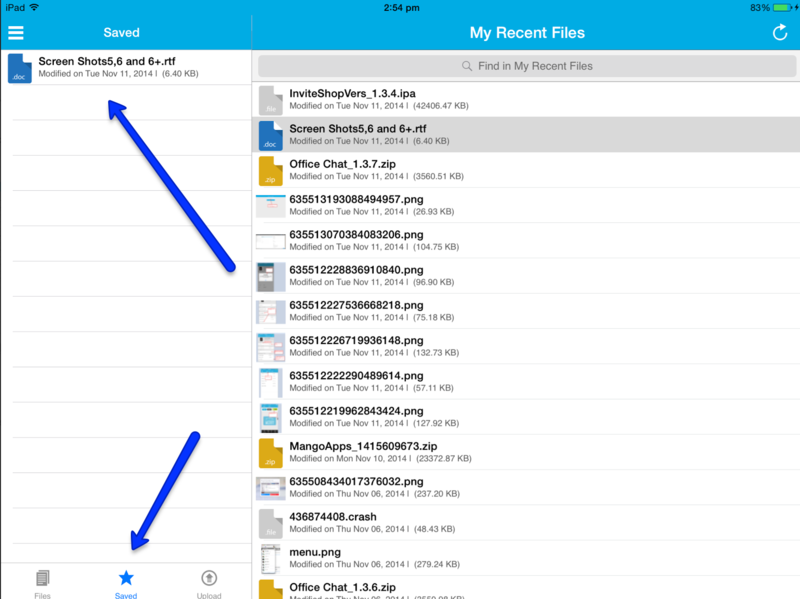 Use “Open In” to download files from DropBox to attach to a MangoApps compose box. 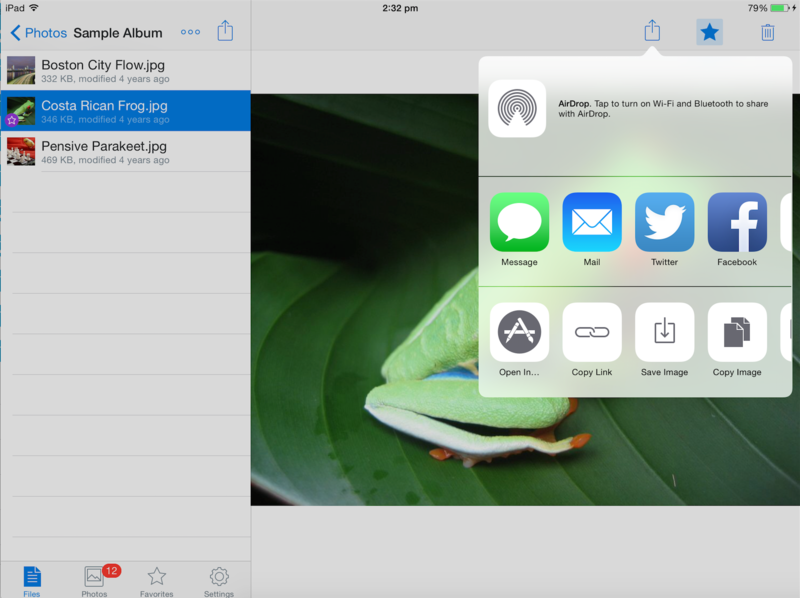 Upload files in MangoApps to another application on your iOS device. 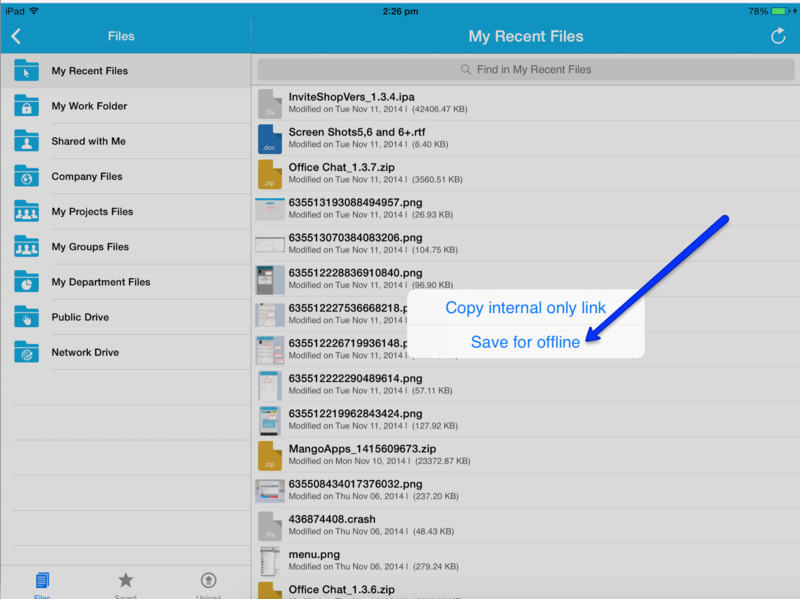 Download files from MangoApps for Offline Viewing. You can upload MangoApps file to other apps also. After opening the file, click on the “More” action in the file viewer. You can also download MangoApps files for offline usage. Perform a long touch on the file item. This will show an option to Download the file using “Save for offline” menu. You can later access these saved file from the “Saved” section. 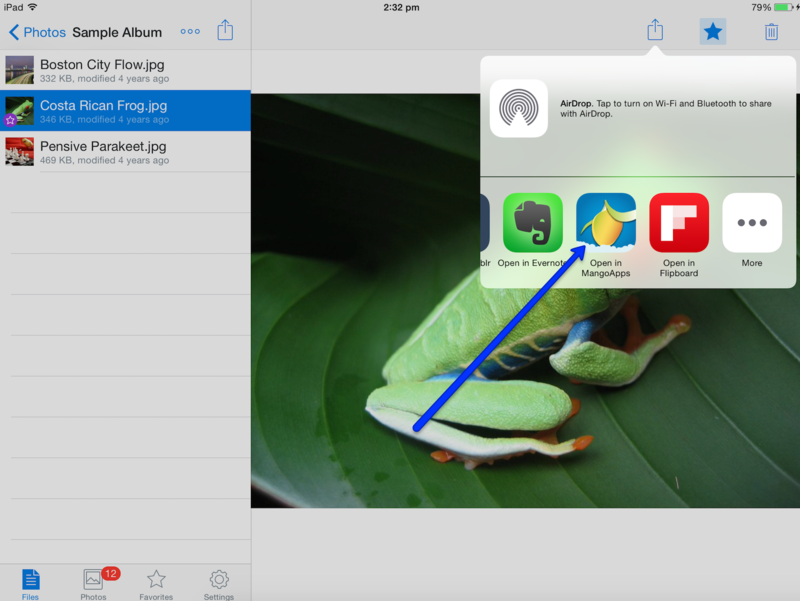 How Do I Add Files to Mangoapps from My Iphone or Ipad? Why Does Mangoapps Ask for Permission to My Android Contact List? How Do Ios Push Notifications Work? How Do I Leave Feedback, Tell a Friend, or Write a Review on the Mobile Applications? How Do I Work with Tasks on Mobile?